Grade B - Very Good - Fully functional - No tears or rips, but may have markings. Velcro in very good condition and all snaps working. Grade C - Good - Fully functional but may contain markings, Velcro warn but functional. Grade D - Acceptable - May contain rips or tears in fabric markings, some snaps not working, Velcro warn but functional. The Genuine U.S. Military Improved 4-Piece Modular Sleeping System is the ultimate in sleeping comfort and durability. When the two Sleeping Bags are combined with the Bivy Cover, the system is designed to be effective for climates down to minus 20 degrees Fahrenheit (-28C). The Improved MSS System can be effective to minus 50 degrees Fahrenheit when the user is wearing additional layers of the Extended Cold Weather Clothing System (ECWCS). Made by Tennier Industries for the U.S. Military / Army. 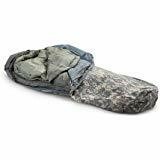 Improved MSS Patrol Sleeping Bag - NSN 8465-01-547-2706: Designed to fit over the Intermediate Cold Weather bag, the Patrol Bag snaps to fit the Cold Weather bag making a system that will keep you warm when the temperature drops below -10. The Patrol Bag alone is lightweight and excellent for use during warmer weather. Improved MSS Intermediate Sleeping Bag - NSN 8465-01-547-2694: This lightweight, durable, mummy style sleeping bag is ideal for mild to cold weather. The durable rip-stop nylon shell and continuous filament polyester insulation is constructed to withstand the rigors of combat. Improved MSS Bivy Cover - NSN 8465-01-547-2644: This Improved Bivy Cover is made of Gore-Tex and designed as the outer layer of the modular sleep system. The bivy cover is waterproof, windproof and durable enough to handle even the harshest of conditions. The heavy duty YKK zippers, which allow you to adjust ventilation, are tough and sure to last for years to come. Black MSS Large Stuff Sack - The large 9 strap Compression Stuff Sack is constructed with water resistant materials and has adequate volume for both sleeping bags as well as the Bivy cover. This unique sack compresses the system to one cubic foot. 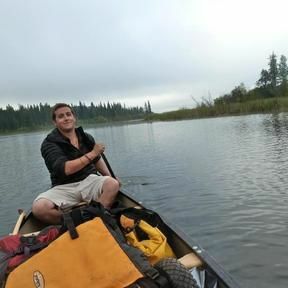 Patrol: 81" x 35" x 22"
Intermediate: 81" x 34" x 21"
Bivy Cover: 81" x 34" x 27"